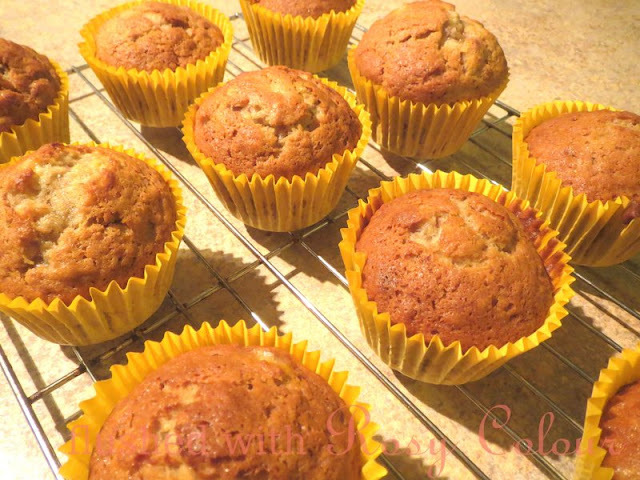 I did an internet search for a recipe that would use 2 ripe bananas as that's what I had and I found this recipe for banana cinnamon muffins. Its an American site so I had to translate the oven temperature to 190 degrees, and I used plain flour and bi-carb of soda. And I didn't do the butter and sugar topping, they are fine just as they are. They turned out deliciously! Nom nom nom!